As you walk to the south east along via Maqueda, you will come to via Cavour which is where the grid of Palermo’s newer streets ends and the more chaotic ancient layout of the old city begins. Here, at the corner, stands Teatro Massimo. 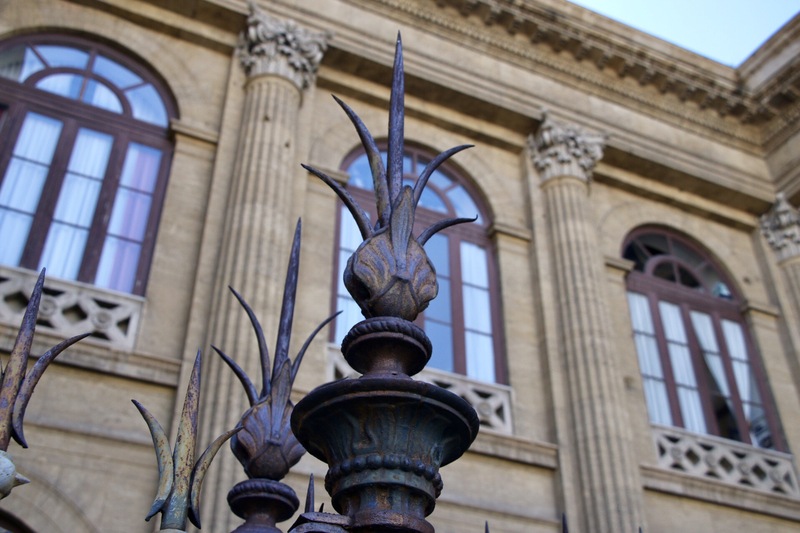 Teatro Massimo is unmissable, as she stands grandly in her square, surrounded by a wrought iron fence and noble palm trees. 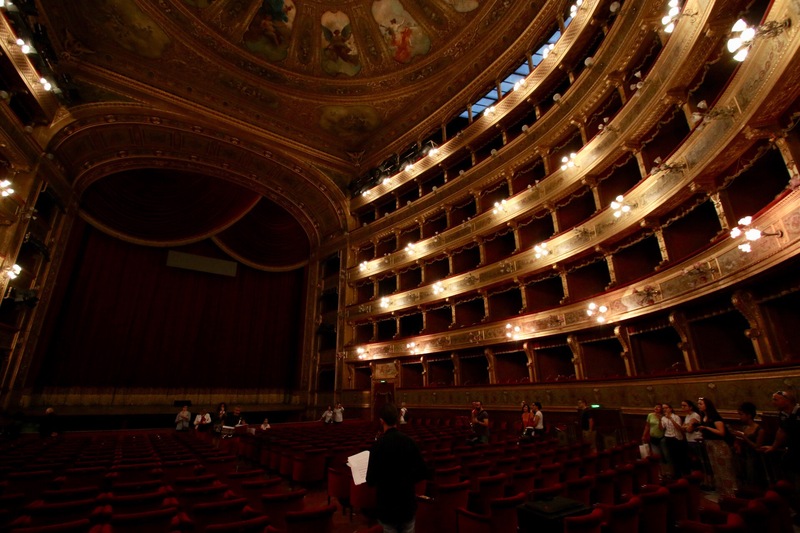 She is the third largest opera house in Europe, behind only Paris and Vienna. Standing as she does, she looks like a Mediterranean fantasy. She is simply beautiful. We had intended to visit yesterday, but the afternoon caught up with us, so instead we added her to the agenda for this morning. 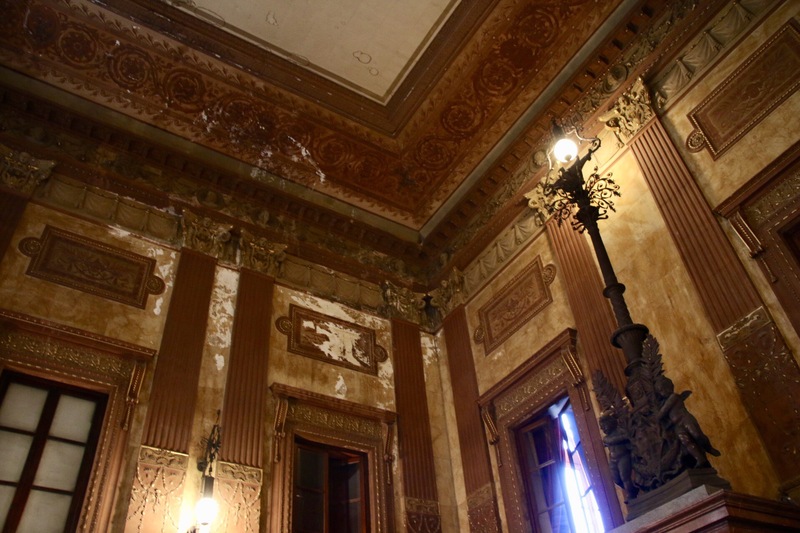 Inside, we find that the grandeur is remarkable, but faded. 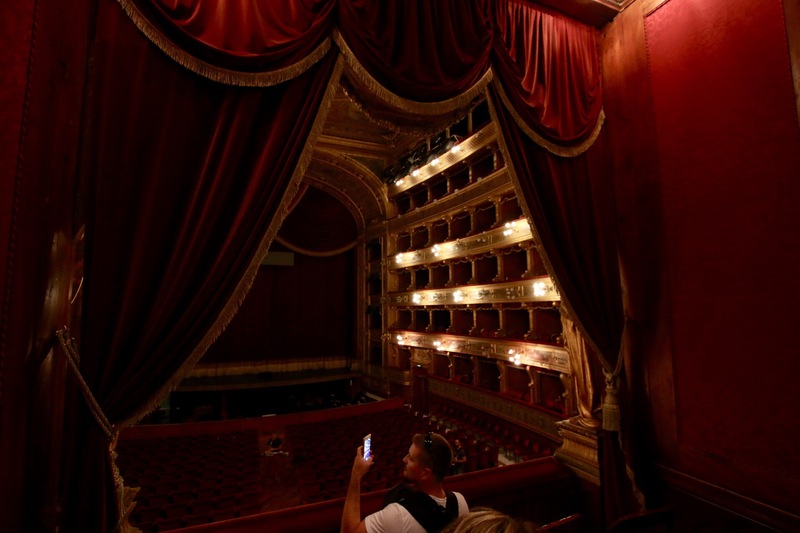 It strikes me that it must be quite expensive to maintain the third largest opera house in Europe, and Palermo is certainly not the third most wealthy city on the continent. I don’t know where it ranks, but it’s nowhere near the top. Still, this is a spectacular structure with stunning acoustics. Within the theatre, there were four men playing saxophone. They weren’t really playing music so much as belching out guttural sounds that resonated palpably throughout the hall. Upstairs, we were allowed to enter the royal box. Actually – I don’t know if it’s a royal box. I don’t know what the term is here – perhaps it’s a presidential box? Within the royal box there were four rows of seats. It strikes me that from the back row, some people likely can’t see the entire stage. Then again, it also strikes me that going to the opera and sitting in the royal box has nothing to do with actually watching the opera. 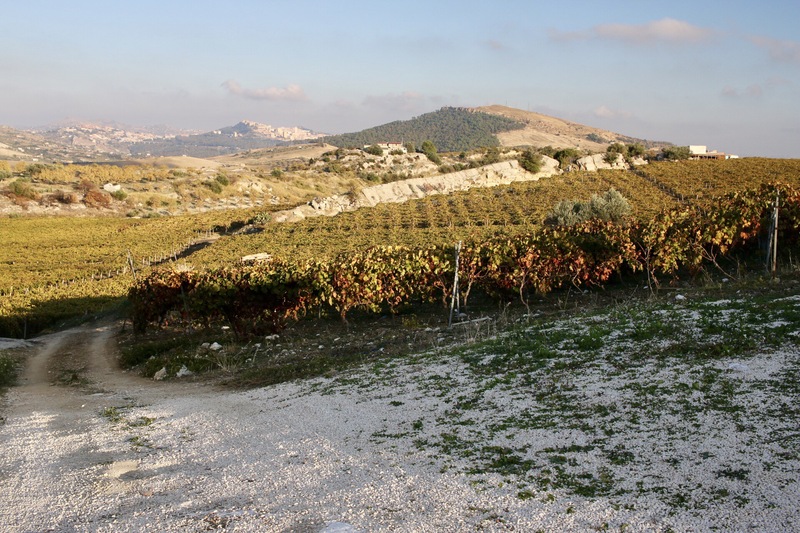 After the opera house, we gathered our belongings and our car and headed out into the streets of greater Sicily, heading first East and then South. The autostrada in Sicily weaves a web of highway across the island. Curiously, the vast majority of the highway sits on stilts, well above the ground below. I can only imagine how much more it cost to build this way. 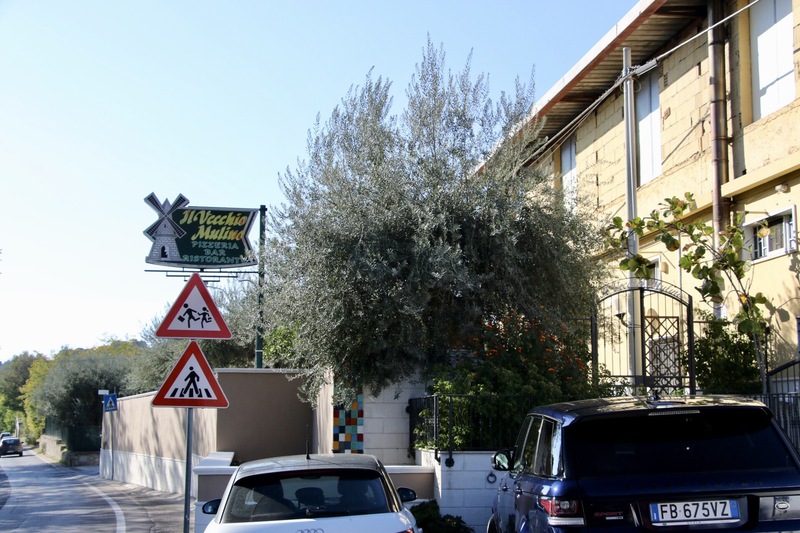 The drive to our next destination was about 2.5 hours, so we stopped in the town of Caltanissetta for lunch, at a place called Il Vecchio Mulino that stands, nondescriptly behind an olive tree at the side of the road. We stepped inside, where we were the only non-Italian speakers. Muddling though, we placed our orders, and I had tagliatelle with pesto calabrese, which is a pasta with red pepper and sausage sauce. It was amazing. When I asked the server (actually, the owner) who made it, he proudly indicated the little old lady, his mother, at the next table, and then proceeded to show us the pizza oven they have (many online reviews state that they have very good pizza). 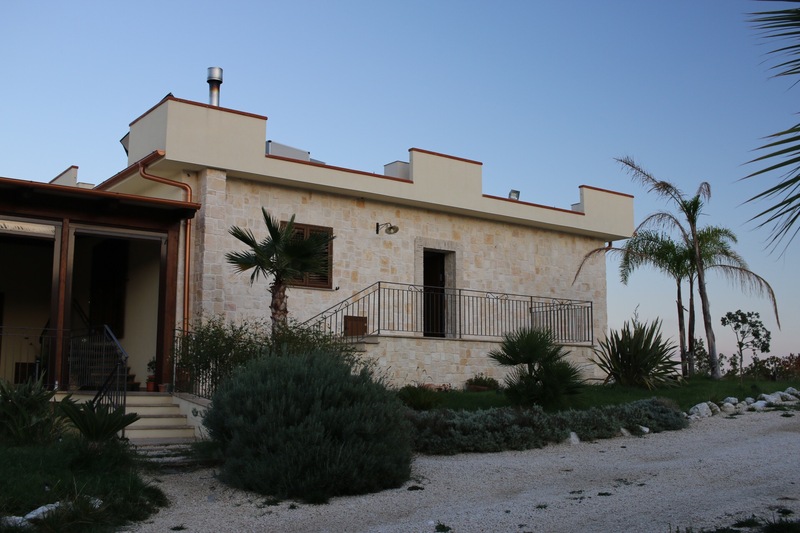 Back on the road, we eventually left the autostrada behind us and delved into the streets of rural Porto Empedocle to the west of Agrigento. Here we eventually arrived at the farmhouse where we are spending the next two nights. The farmhouse is surrounded by vineyards dappled in the golden hues of autumn. Beyond the farmhouse, up the trail and to the right is a long rocky outcropping, at the end of which they keep farm animals. They have hens and roosters, peacocks, turkeys, sheep, and donkeys. 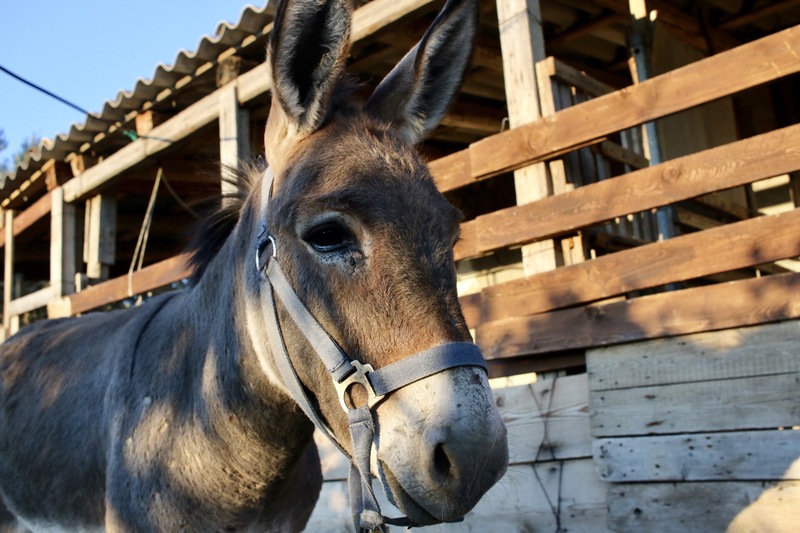 There is something about donkeys – they are incredibly sweet harmless creatures, and this one was no different. He was sadly being accosted by flies and just wanted to be scratched. I was more than happy to oblige. 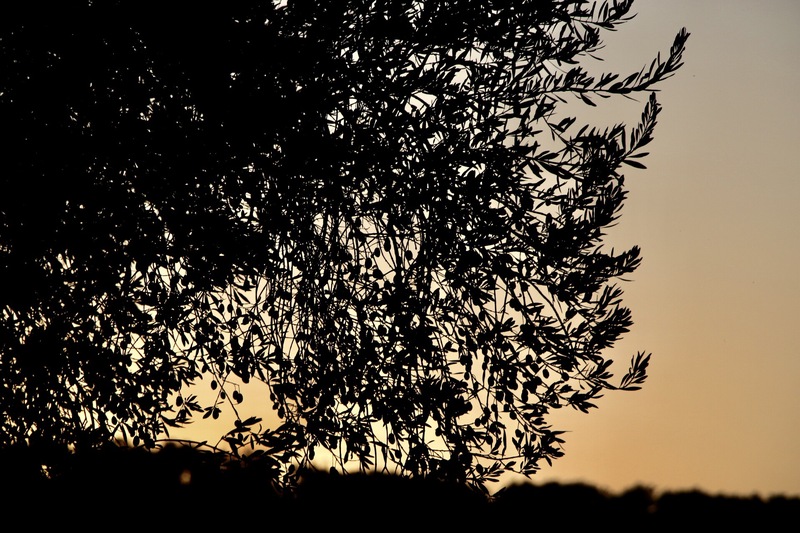 As the sun set to the west behind the olive trees, I met the dog and cat that also call the farm home, and eventually night fell and we found our dinner. NextIt’s Not A Valley. Why Do They Call It That?